It's beautiful! The colours are really lovely and how fab to have a quilt of your own that matches your bedroom. I really want to make my own but it's the thought of the pinning that totally puts me off too! Great tip about the flat sheet backing - and I second the request to know what wadding you used! If/when I ever make one, I want it to be nice and heavy too! That's lovely, what gorgeous colours. I'm with you on machine stitching the binding too, not only for quickness but also because I don't trust my hand stitching to be very robust! Fantastic quilt! Gorgeous. Love the colour combination. I want one! You have every right to be completely happy with this gorgeous quilt! A great quilt - and all yours! Wow! I can see why you love this quilt! I love it, too. Such great sewing work; and the colours are wonderful. Looks like it passed its toughest test! Lovely. 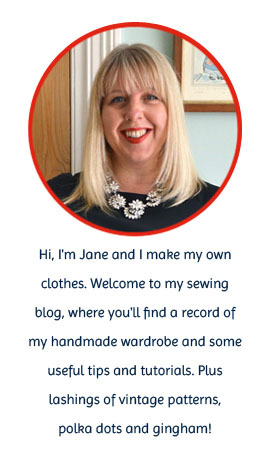 What a fab make Jane! I absolutely love this, well worth all your efforts. Oh wow! It looks amazing - i really like your colour choices. Swoon I love the subtle but modern colours and design. This is perfect. Well done. Love this! It looks great! Fantastic quilt! I have been working on mine for 3 years, in my defence it is fully hand quilted- which is a huge mistake! I should have machined the beast. Again with hind sight! Your colour combinations are lovely! Such a cold day today, perfect for snuggling!! It looks lovely, I really like the colour scheme and fabric you chose. I don't have the patience (or space!) so make such a big quilt! What a gorgeous quilt - and so perfect in your bedroom. I really love the little sailing boats. Well done, and I'm sure you are glad to actually get to keep this one for yourself!! Your quilt looks so good Jane, and so cosy! Thanks for the link to that video, I'll need to watch it when I get home as I'm currently working on my first quilt and have no idea what I'm doing! Your quilt is lovely, and what a good idea to use a sheet as the backing. Wow, this is so beautiful! I love love love it!